Colleges and universities can be found across the United States. Often communities, spring up around these educational institutions, and there’s a reason why: colleges and universities bring a level of culture to an area, a level of excitement that’s attractive to many people. But if you want to call a college town home, which location is the best? What were the criteria used to judge the best college towns in America? The spreadsheets were filled and the numbers where run. 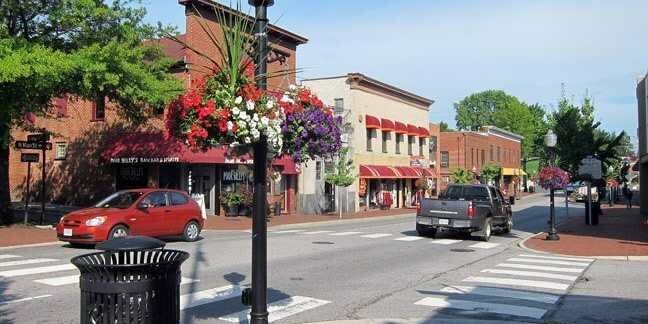 The place with the lowest overall score was named the best college town in America. Movoto Real Estate found the answer, and it’s Hanover, NH, the home of Dartmouth College. Yet Hanover, while the best, isn’t the only college town people should consider calling home. What makes Blacksburg one of the best college towns in America? The location had above average scores in most criteria. Blacksburg’s best rank came from its commute time. It takes area residents just 16 minutes to get to work, the 16th shortest time on our list. For comparison, it takes New Yorkers an average of 44 minutes to make it to work. In addition to a low commute time, Blacksburg’s was among the safest places on the list. The data indicates there were 1,426 crimes per 100,000 people, good enough to make the locale the 19th safest place on the list.